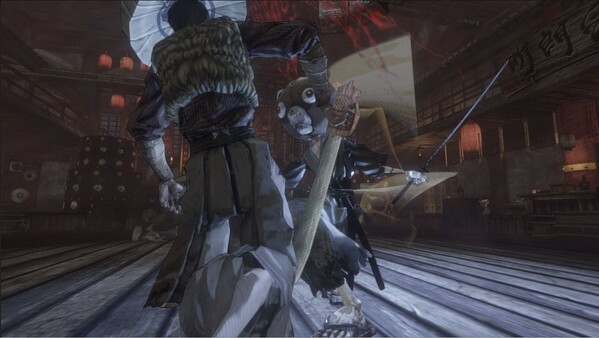 Our review for Afro Samurai 2 – Chapter 1 comes a little later than expected, but a lot of that has to do with the fact that we ran into technical issues upon launch. Inexplicable issues in a way, when we remember meeting with developer Redacted during the summer of 2014. When we sat down for a sneak peak at Afro Samurai 2 over a year ago, we were told about how the team had big dreams for the sequel, and that they were really passionate about realizing what they had wanted to do with the original game. What held them back from unleashing their full potential that time around was time pressure from then-publisher Namco Bandai. With indie-specialists Versus Evil now publishing the sequel, that wouldn’t be an issue anymore, and the excitement about the project was clear to us. So when we sat down to play Afro Samurai 2, we were expecting a refined version of the original game. The original (and excellent!) 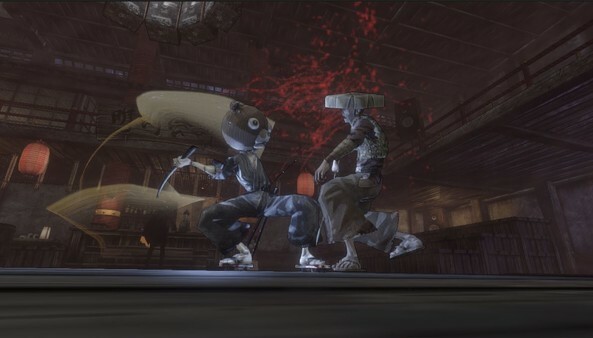 art style would return, RZA would once again take care of the soundtrack, and the development team was fully committed. Our surprise was therefore great when we saw how unpolished the game was upon release. Framerate issues were frequent, which is odd when you consider the visuals are on par with those in the 2009 original. Animations would randomly turn glitchy and the sound mixing was, at times, questionable – dialogue lines and/or sound effects occasionally become drowned or get cut off. All of this hurts the artistic merit of the game – perhaps the original’s strongest asset. This was produced as an indie game of sorts, but the issues outlined above don’t become acceptable because of it. We’re perfectly fine with the fact that Samuel L. Jackson wasn’t available for voice acting duties this time and understand that certain corners have to be cut when it comes to production values, but even the smallest of indie studios have some degree of quality control in place. Redacted is no different we’re sure, but somehow all that slipped by. Luckily, a patch has been released since the game came out, fixing some of the animation bugs and other issues – so at least the dedication is still there to make the game work. It’s just too bad that the original release has left such a sour taste already – which can be seen in most reviews currently out there. A lot of the issues seem fixable – and let’s hope that they indeed get fixed. When they do, chapter 1 of Afro Samurai 2 – The Revenge of Kuma will present us with a brand new storyline that follows the events of the original game and delivers fans of that game with more of the same. We doubt it’ll ever be the refined version of that game that we hoped it as going to be, but we’re hoping that the game can overcome this rocky start in the next two chapters. The core action here is still recognizable for fans of the original, despite the rough edges. For now, we can’t score the game any higher than we do since a lot of the problems we describe are still there even after the patch – but we’re hoping that chapter 2 will restore some of the promise that Afro Samurai still has. Chapter 1 was going to be more of the same, but better… but instead it’s more of the same, only worse.